Part of a collaboration between Puma x Ader Error. The Rs-1 is a modern update inspired by the classic archive Running System, or "RS" style. Double tongue with brand logo. IMEVA midsole featuring RS cushioning technology. Blocky extended TPU heel with striped accent. 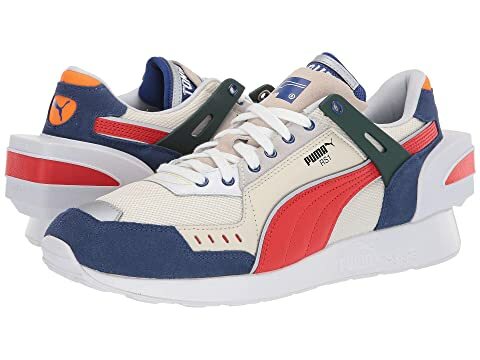 We can't currently find any similar items for the Rs-1 Ader Error Sneaker by PUMA. Sorry!